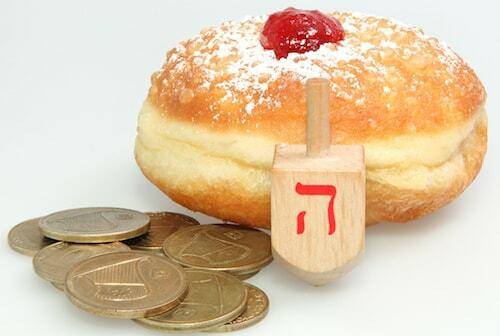 What Is a Dreidel (Sevivon)? 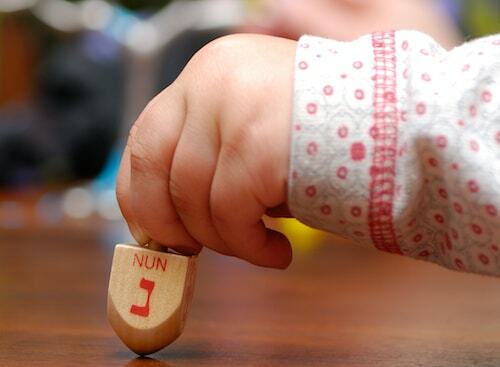 Dreidel is Yiddish for "spinning top." A dreidel is a pointed, four-sided top which can be made to spin on its pointed base. Dreidels are normally made of plastic or wood, though there are silver or glass "designer dreidels" available on the market, usually intended for display purposes. It is customary to play dreidel games on the holiday of Chanukah. 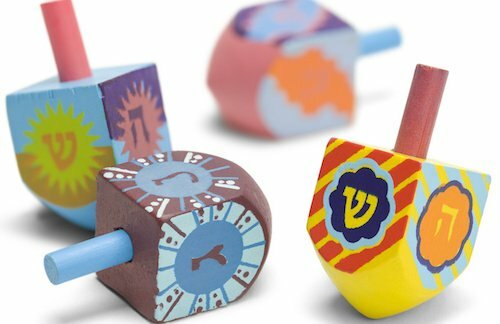 There is a Hebrew letter embossed or printed on each of the dreidel's four sides. These four letters form the acronym of the phrase: Nes gadol hayah sham, "a great miracle happened there," a reference to the Chanukah miracle that transpired in the Land of Israel. It is told that the dreidel, known in Hebrew as a sevivon, dates back to the time of the Greek-Syrian rule over the Holy Land—which set off the Maccabean revolt that culminated in the Chanukah miracle. Learning Torah was outlawed by the enemy, a "crime" punishable by death. The Jewish children resorted to hiding in caves in order to study. If a Greek patrol would approach, the children would pull out their tops and pretend to be playing a game. Read the Chanukah story here. By playing dreidel during Chanukah we are reminded of the courage of those brave children. Players take turns spinning the dreidel. Having the dreidel fall on each Hebrew letter results in a different action. Land on “nun” (נ) and nothing happens. Land on “gimmel” (ג) and you get to take the whole pot. Land on “hay” (ה) and you take half of the pot. Land on “shin” (ש) and you must give a predetermined amount back into the kitty. Whenever the kitty is emptied, every player must contribute a set amount. Any player that cannot contribute after landing on a “shin” or after a fellow player lands on a “gimmel” loses. Read the full dreidel instructions. Find dreidels and other Chanukah items. What Does Chanukah Actually Mean?